Mal Reynolds, a veteran of the War of Independence, is captaining a Firefly-class boat, the Serenity. He and his crew, Zoe, one of his fellow "browncoats"; Jayne, a mercenary; Wash, an ace pilot and Zoe's husband; and Kaylee, a crack mechanic are salvaging a dead ship when an Alliance vessel detects them. They get away, but the Alliance bulletin about their doings means their cargo is now too hot to sell. They take on passengers on the planet Persephone, including a doctor named Simon Tam, who is carrying a large piece of cargo; a shepherd who calls himself Book; and a man named Dobson. En route to find another buyer for their loot, Dobson reveals himself to be an Alliance agent. He's not after Mal and his crew, but Dr. Tam and his cargo. Dobson shoots Kaylee, then Dobson is captured, with surprising help from Book. - The people in the Firefly universe supposedly speak both English and Chinese, as those two languages are what became dominant deep in the future. - The entire Serenity was constructed as a single set, so that the camera could follow the crew all over the ship without cuts. - Inara was born in a place called Xenon. - Mal was a sergeant on the side of the Browncoats during the war of independence. The Browncoats lost. - Simon was a trauma surgeon on Osiris in Capital City. - The flashback to the battle. - Wash playing with his dinosaurs. Wash: "Yes, yes, this is a fertile land and we will thrive. We will rule over all this land and we will call it... this land." 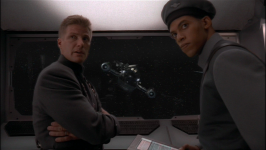 - The sight of the Alliance cruiser "Dortmunder." - Serenity's escape from the Alliance cruiser. - Wash: "Sweetie, we're crooks. If everything was all right we'd be in jail." - Kaylee convincing Book to travel with them. - Mal: "She's a whore, shepherd." Kaylee: "The term is companion." Mal: "I always get those mixed up." 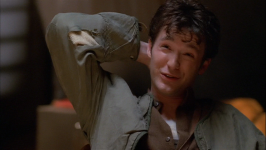 - Jayne's faux pas at dinner, insulting Kaylee's attraction to Simon. - Mal's decidedly ironic response to Simon's inquiry regarding what Mal pays Jayne for: "Public relations." - Book punching out Dobson. - Mal discovering a naked girl in cold storage in Simon's cargo. The first part of the pilot episode, Serenity, introduces us to the Firefly universe in a very broad way. We don't get a lot of details about what's going on and why everything is the way it is, but there are some pretty clear implications from various character dialog and events in the episode. It's pretty clear that there is no Earth any longer and that humanity must have left Earth at some point for whatever reason and that this show takes place deep in the future. The Alliance which governs the remnants of humanity is deeply flawed and as a result, the colonies which they do not have direct control over have degenerated into a sort of frontier land of outlaws similar to that of the ancient American west. Normally the genres of the Western and science fiction are polar opposites, but Joss Whedon's Firefly universe skillfully combines them in a very unique way. 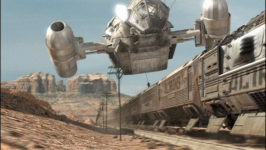 Also, groundbreaking about Firefly is its use of Newtonian physics as well as far more realistic weaponry than most other science fiction shows. Like other sci fi, Firefly depicts the use of advanced energy weapons, but implies that they are only used for certain purposes by certain people and require certain resources that are not always present. So supplementing the lack of energy weapons' ability to be appropriate for every situation, more traditional chemically propelled weapons are used just prevalently if not moreso. 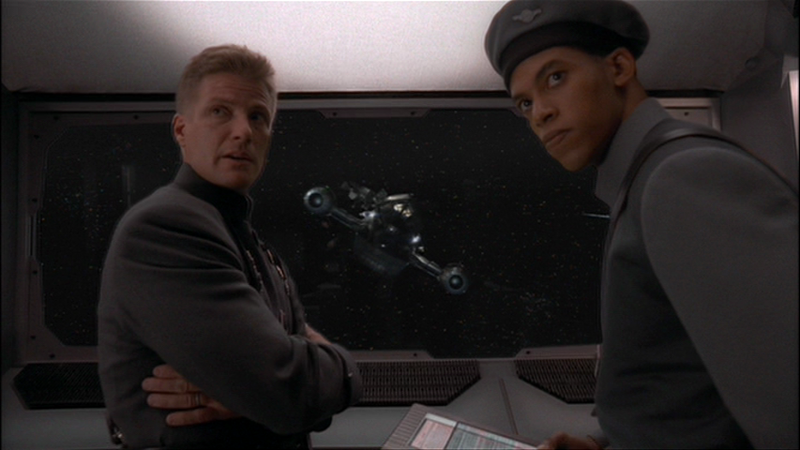 In 1990s, Babylon 5 was a groundbreaking show because, among other things, it was the first show to heavily emphasize realistic physics in space. 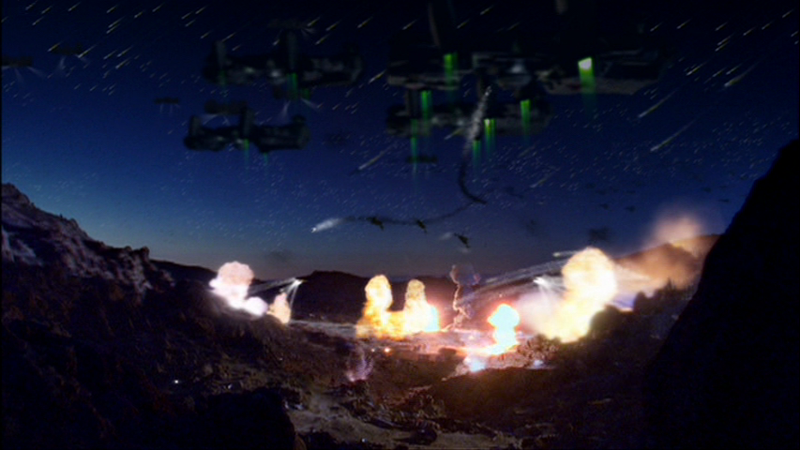 Firefly follows in Babylon 5's lead and not only places heavy emphasis on Newtonian physics, but takes it a step further with its more realistic weaponry, silent space scenes, and documentary style directing. As for the plot itself, we open with an intense battle of proportions not quite understood, but at the same time, not necessary to understand. What matters is you're with the main characters in humble circumstances. They lose not only the battle, but the war itself in this very moment. The story jumps ahead six years, and you're still with the same characters still being humbled by their circumstances of now making a living as thieves. The circumstances become even more humbling as what seems to be their perhaps only employer cuts them loose for being seen by the Alliance. This changes the implied dynamic of what they've been doing for the past six years. In addition to this, a new situation begins to brew. As the Serenity begins to search for new opportunities further and further away from the center of the planetary system, and thus further and further away from civilization they take on passengers for what little cash they can get out of it and one of the passengers is discovered to be an Alliance mole who is on an undercover mission to apprehend a fugitive, Simon, who is running from the Alliance for reasons not understood. The cliffhanger depicts Simon transporting a naked girl in cold storage for also reasons not understood. But it's made clear that whoever she is, Simon is willing to kill for her. Overall, Serenity Part 1 comes off as kind of a jumble, but remains largely coherent despite a rather large set of characters, intentions, and settings. 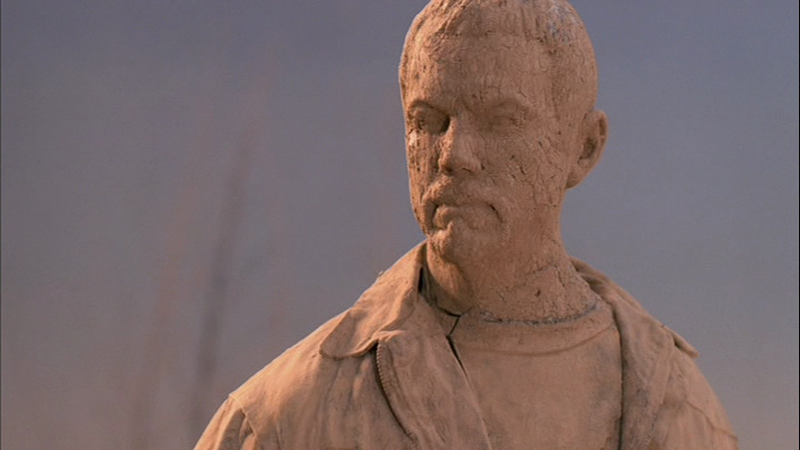 Humor is used effectively throughout without coming off as campy or lame, but the Western tone sometimes bleeds through too heavily, though not necessarily to the point of genre mashup nausea. In the past: When Simon and River were children, the Tam family was happy. River, a genius, got along famously with her older brother, and they didn't want for anything. But when River went to the academy, things went sour, something only Simon could see, because their parents refused to believe that anything was wrong, even though River's letters were begging for Simon's help via an esoteric code known only to the two of them. In the present: On the Serenity, River's outbursts are growing worse and disturbing the many cattle in the hold. The cattle are offloaded safely on Jiangyin, and Simon and River go into town. However, Mal and the crew run into trouble with the locals; Book is shot, and Simon and River go missing. The doctor and his sister have been kidnapped by hill folk, who want Simon to treat them. With no choice, he does as they ask. Meanwhile, Serenity makes a hasty takeoff to find a medical facility to treat Book. To everyone's surprise, Book's ID gets him VIP treatment at an Alliance facility, no questions asked. - Simon believes that River's condition is paranoid schizophrenia. - The flashback to River and Simon's childhood. - Kaylee and Simon not exactly hitting it off in town. - River dancing, intercut with the firefight. - The flashback to Simon knowing something went wrong with River at the academy. - Serenity taking off, leaving Simon and River on the planet. - Serenity intentionally seeking out an Alliance cruiser to help Book. - Simon decided to help out his captors. - River reading Ruby's mind and the teacher accusing River of being a witch. - Simon's flashback to being bailed out of jail by his father for trying to rescue River. - River reading the patron's mind. - Serenity rescuing Simon and River. - Mal: "Cut her down!" Patron: "The girl is a witch!" 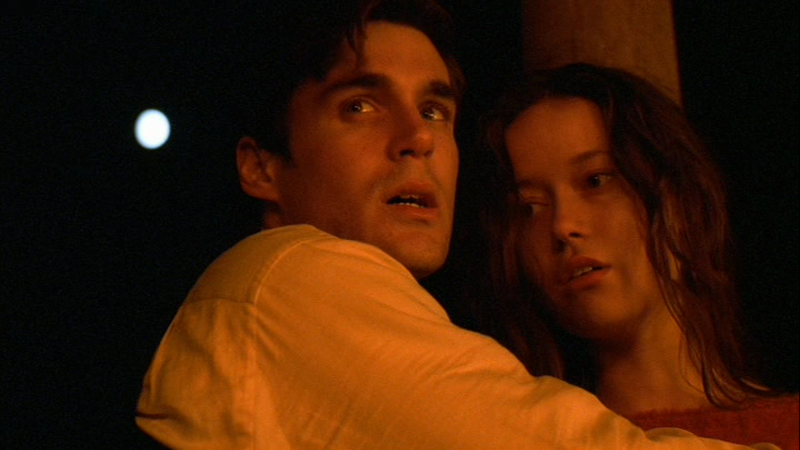 Mal: "Yeah, but she's our witch. So cut her the hell down!" Safe is a sort of jumble of different stories. The focus on River is quite prominent here; this episode finally gives us some insight on what the government was doing to her as she has displayed some evidence of psychic abilities. This is something that has been building for quite a while actually. 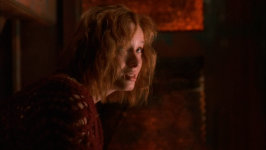 In previous episodes, River seems to have been having parallel emotional responses to things going on elsewhere that she could not have possibly been aware of any other way. This happens again in this episode as well. Also, in Shindig, River seemed to have a lot of knowledge of Badger she shouldn't have. That scene was somewhat ambiguous as to the reason, but events of this episode seem to make it pretty clear that she reads minds. 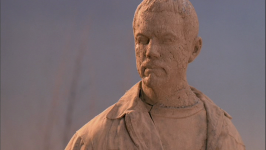 Unfortunately, aside from some interesting exposition concerning the long term plot arc regarding River, this episode's jumble of plot ranges from fairly interesting in some places to downright annoying in other places. The other most interesting plot thread is the revelation that Book has some sort of high profile connection to the Alliance which entitles him to first class medical care. While this makes his character a lot more interesting, the fact that he is not inclined to explain the reasons for this is rather irritating. That and Serenity's rather routine contact with Alliance ships is also becoming something of a cliche at this point. Though they sure are pretty to look at. The most irritating aspect of this episode was the run down town that wanted to torch River because they thought she was a witch. In particular, the patron's reaction to his secret of his murdering the previous patron made the town look even more like a bunch of idiots as he said in response that River is "a witch that reads minds and spins falsehoods." Strictly speaking, if River outing his secret convinced him and thus the rest of the town that she could read minds, then the rest of the town should not have been so easily swayed that what River said was false. The town was given direct evidence that their patron murdered his predecessor, but as soon as he denies it, everyone buys it without giving it a second thought. Indeed a town of idiots. Aside from those blemishes though the rather fast pace of the episode is enjoyable and while the flashbacks to Simon's and River's childhoods are questionably relevant, they are fun and fascinating to watch. Finally, Mal's affirmation of loyalty for his crew is true to his character and nice to see in that warm and fuzzy kind of way. The Serenity's latest job comes from an unlikely source: Dr. Simon Tam. 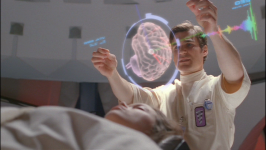 He needs to break into a hospital on Ariel so he can scan the ever-deteriorating brain of his sister, River, and try to figure out what the Alliance did to her. For Mal and his crew, the rewards will be a stash of incredibly valuable, central-planet medical supplies that are hard to acquire on the rim, and which can be resold for a hefty profit. However, Jayne has his eye on an even greater reward: A bounty from the Alliance, which still wants River back. Jayne turns over River and Simon only to find himself a prisoner, as well, with no hope of collecting his reward and every expectation of a very long and miserable incarceration. - This episode establishes that River's amygdala in her brain was tampered with, preventing it from working properly. She can't push feelings into the back of her mind. She experiences everything at full intensity. - River slashing Jayne with a knife for no reason and Jayne smacking her halfway across the room. - River: "He looks better in red." - Simon's proposal for a job. - Wash's description of the job: "stealing from the rich, selling to the poor." - Mal, Zoe and Jayne practicing their paramedic lingo. - Mal, Zoe and Jayne all ready to say their paramedic lingo on the job, but only given the chance to utter a line and a half of it. - Jayne double-crossing Simon and River. - Simon's saving a life ad hoc. - Mal and Zoe looting while Simon uses the holoimager to examine River. - Jayne being double-crossed by the police officers when he helped them capture River and Simon. - The blue gloved guys killing the police officers because they spoke to the prisoners. - Jayne: "This has got to be our best take ever." Mal: "Doc had a good notion. Boy's got a decent criminal mind." - Mal confronting Jayne about his betrayal. - Mal: "The next time you decide to stab me in the back, have the guts to do it to my face." Continuity comes together in quite a nice way in this episode which puts the River arc and Jayne's fragile loyalties at the forefront of the story. We finally learn something concrete about what was done to River now that Simon has done a proper diagnostic of her and this episode creates hope that he will one day cure her of her issues. Aside from that it's always nice to see the Alliance; the stark contrast between how they live and how the border planets live is quite striking. Also striking is the lengths to which the Alliance will go to get River back. Those blue-gloved guys are creepy to the extreme and that little bleed-someone-to-death device is certainly a chilling piece of technology. It makes you wonder if they had that kind of technology at their disposal, what could they possibly find so interesting about River? But the most interesting part of this episode for me is the character development for Jayne. Throughout the episode he's easily the most annoying character. Impeding the progress of our heroes for his own selfish gain. But the last scenes of this episode not only redeem Jayne's character in my eyes, they grow him beyond the simpleton we knew him to be previously. Now we know that Jayne values what the rest of the crew thinks of him, despite his cavalier attitude. This makes him far more likable. All in all, Ariel is a fine episode. Hey, another really good episode. Based on early episodes, I felt this series was severely overrated. However, with Out of Gas and now Ariel, it looks like the show may be "growing the beard". Watching the earlier episodes, I felt that the series was trying to get by on quirkiness and witty banter, which really wasn't enough. Now, however, we have good plots and character work and it's turned into a show I really want to watch. This is the episode this show was made for, basically. River wanders the corridors of Serenity. She observes the members of the crew and in some cases eavesdrops on their thoughts, or, in the case of Wash and Zoe, their passions. She then, somehow, gets her hands on one of Jayne's guns. 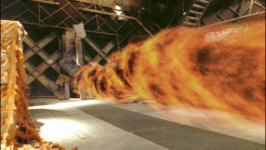 Mal disarms her, but this display leads Kaylee to tell everyone what River did during their rescue of Mal from Niska. Mal is convinced River's telepathic, and, despite their skepticism, the others tend to agree. Everyone goes to bed while Mal thinks on the matter. His mental perambulations are interrupted by a bounty hunter named Jubal Early, who boards the ship. He takes down Mal, and locks him in his quarters, and also locks Jayne, Wash and Zoe in theirs. Kaylee is in the engine room, and Early terrorizes her and ties her up, then neutralizes Book. Finally he escorts Simon at gunpoint around Serenity to find River, who isn't in her bunk. She isn't in Inara's shuttle, but Early confines Inara, as well. Finally, River "shows" herself, as a disembodied voice, telling Early that she has blended her consciousness with the ship. She has become Serenity. 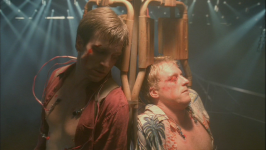 - This episode is the winner of my "Best Episode of Firefly" award. - Early's character was inspired by Boba Fett from Star Wars. - Jubal Early was named after Confederate general Jubal Anderson Early, who fought in the American civil war on the side of the south. It is a perhaps deliberate historical irony that an African American actor played a character named after Confederate general. - River walking through the ship, hearing the thoughts of the crew. - River stepping on a twig in the cargo bay, then, in a cut, the entire cargo bay being filled with leaves and twigs. - River holding the twig which is revealed in a cut to actually be a gun that she is perceiving to be a twig. - Mal: "If I want a lot of medical jargon, I'll talk to a doctor." Simon: "You are talking to a doctor." Mal: "Yeah. Okay. My point is coulda been you she might have shot just then. The doctor, as you just made note of." - The crew discussing their issues with River. I liked the various tidbits of continuity in here. Mal makes a reference to Jayne's betrayal (Ariel), Jayne makes a reference to her coming at him with a butcher knife (Ariel), and Kaylee makes a reference to River saving her during the assault on Niska (War Stories). - The bounty hunter boarding Serenity. 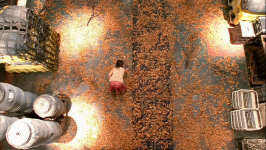 - Kaylee telling her story about River saving her while River listens in, psychically. - Mal: "I find River pleasant enough myself, but she does have an oddness to her. And I ain't just talking about her proficiency with firearms." - Wash: "Psychic though? That sounds like something out of science fiction." Zoe: "We live in a space ship, dear." - The bounty hunter taking down Mal. - The bounty hunter surprising Kaylee. Kaylee: "How did you get on..?" The bounty hunter: "Strays the mind a bit, don't it?" 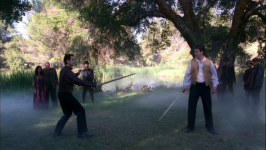 - Early forcing Simon to help him find River by threatening Kaylee. - Early: "They make psychiatrists get psychoanalyzed before they can get certified, but they don't make a surgeon get cut on. That seem right to you?" - Early: "It's not your moment, doctor." - Early: "Man is stronger by far than woman, yet only woman can create a child. Does that seem right to you?" - River talking to Early, claiming to have "melted" and become the ship. - Early: "Where'd she go?" Simon: "I can't keep track of her when she's not incorporeally possessing a space ship. Don't look at me!" Early: "That's some nonsensical crap. Ain't nobody can do that." - The revelation that River got aboard Early's ship. - Mal spinning Early off into space to float away and die. - Simon direcing his own surgery. Easily the best episode, Objects in Space finishes off Firefly in style. Unfortunately, due to Firefly's cancellation, it was not possible to quite wrap up all the ongoing long term plot threads. In fact, this episode further complicates them with regards to Book and River to some extent while leaving others hanging such as Mal and Inara. However, were the series allowed to continue I'm sure these issues would have been dealt with. Instead, I choose to grade this episode solely on its own merits and it has merits aplenty. 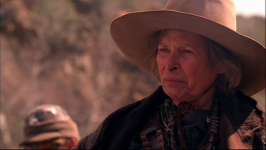 Firstly, this episode finally gives us a much fuller profile of just who River is and what was done to her. It has been fairly obvious for some time that she has some sort of psychic ability and this episode further confirms it as she's seen directly reading the minds of the crew. In doing so, she comes across one interesting piece of new information when Book thinks to himself: "I don't give half a hump if you're innocent or not. So where does that put you?" The meaning of that statement is ambiguous but it lends weight to the pre established idea that Book has a rather colorful and less than honorable past. The line from Early "that ain't a shepherd" also speaks to this idea. Speaking of Early, he is easily the most compelling antagonist depicted on the show. Between his quirky dialog and the well crafted music underscoring his actions, he comes across as a combination of fascinating, menacing, and hilarious all in one. His role in the story and what it does for River's character easily earn this episode its perfect score. Overall, it is sad that this amazing show was canceled, especially so early in its production. Personally, I believe Firefly had the potential to be one of the greatest science fiction shows in history if its first fifteen episodes were any indication. It had a few duds, but the overall quality of the storytelling easily rivaled some of the best of Star Trek. Nevertheless, we can all continue to enjoy what episodes were completed and hope some day that the series is reborn in some fashion. 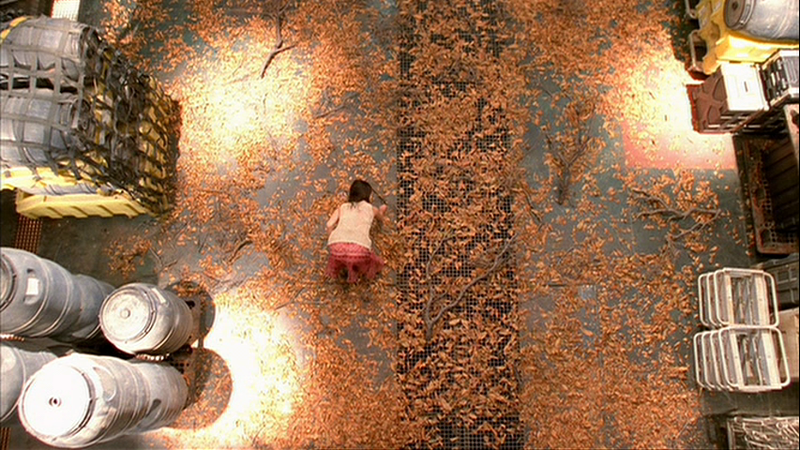 No television series deserves to be brought back to life more than Firefly.